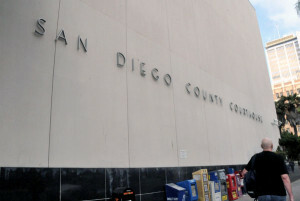 A man who was drunk and driving the wrong way when he killed another motorist in a head-on collision pleaded guilty Thursday to four felony charges, including vehicular manslaughter and DUI causing great bodily. Nicholas Gervais, 28, faces up to 13 years and eight months in prison when he is sentenced July 2. Gervais also pleaded guilty to driving under the influence of alcohol and drugs and DUI with a blood-alcohol level of .08 percent or higher in the Feb. 23 death of John Mathew Hajosy, also 28. Deputy District Attorney Lucy Yturralde told a judge at Gervais’ arraignment that the defendant was spotted driving south in northbound lanes of state Route 125 about 2:10 a.m. on Feb. 23. An El Cajon police officer tried to get Gervais’ attention by flashing his lights at the wrong-way driver and tried to videotape what was happening, Yturralde said. Eventually, Gervais got on state Route 94, driving his BMW west in the eastbound lanes up to about 80 mph, before crashing into Hajosy’s car, the prosecutor said. Hajosy died at the scene of head injuries and a lacerated spleen. Gervais was taken to a hospital and breathalyzer test showed his blood- alcohol content at .23 percent and .21 percent about three hours after the crash, according to Yturralde, who said a marijuana pipe were found in Gervais’ car.